An interview with FSU Art Professor Pat Ward Williams is included in the new film, “Through A Lens Darkly/Black Photographers and the Emergence of A People”. This 92 min. 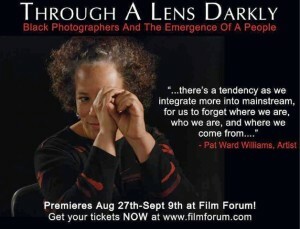 feature film by Thomas Allen Harris made its theatrical premiere last weekend at Film Forum in NYC. It is scheduled for broadcast this fall on numerous PBS stations.